My Mother Made Me Take Cod Liver Oil And I Lived To Tell About It. “UGH! That’s nasty!” Children of all generations have probably uttered those remarks after a teaspoon of cod liver oil. My mother made me and my siblings drink it. And it wasn’t flavored way back then. Nowadays you can get it lemon, strawberry or orange flavored. Still smells and tastes sorta bad. But boy oh boy, is it good for you! I would have never dreamed that I’d be putting my kids through that horrid childhood rite of passage: taking cod liver oil. My mother swears it’s good for you; and as it turns out, it IS really good for you. Thanks to the recommendation from my wonderful Defeat Autism Now doctor, Eric Sletten, MD., I am passing along this tradition to another generation of children that take cod liver oil. Why? Cod Live Oil is rich in Omega 3 fatty acids. Our brain’s neurons are comprised of 60-70% fat; so it needs the good fats, like Omega fatty acids, not trans fats. Cod liver oil is high in vitamins A and D. Vitamin A assists in bone and tooth formation, as well as nerve and eye functions. Vitamin D boosts our immune system as well as regulating our calcium and phosphorus levels to keep our bones healthy. When combined with the mineral selenium, cod liver oil may prevent middle ear infections in children. Research has shown that children with middle ear infections are deficient in three things: selenium, vitamin A and EPA, which is an anti-inflammatory omega-3 fatty acid. 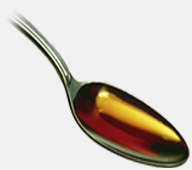 Now you may not realize that cod liver oil is also available in soft gels. They are easy to swallow and the taste and smell is disguised by the citrus flavor in the gel cap. There are many varieties of omega-3 supplements on the market today. For my family, we take one high in DHAs and EPAs. DHA is a major structural component for our nerves and brains. It assists with brain and eye development, which is why it’s recommended during pregnancy and while breastfeeding. I have to admit, my mother is pretty happy that I am heeding her advice. She may not have had the same reasons for giving me cod liver oil as I do for my sons, but the benefit is the same. After all these years, I am going to be passing along my mother’s “old wives tales” to my children and future generations. And happy to say, you too can take cod liver oil, and live to tell about. A Tablespoon Of Apple Cider Vinegar A Day Keeps The Doctor Away. You know that old wives tale of “an apple a day keeps the doctor away”, right? But apple cider vinegar?!?! I can remember always seeing my mother or father take a tablespoon of apple cider vinegar with a glass of water every time they felt a cold coming on. They’d tell me about the wonders of it all the time, and how they avoid going to the doctor when feeling sick. My mom would have us take it if we had canker sores in our mouth, or a cold sore. So they related it to fending off cold viruses. Sometimes my dad would take it to help with his digestion. I have never tried this in my adult life, so I researched it and found that this old wives tale is a pretty good one, and true. Apple cider vinegar is a powerful detoxifying and purifying agent. This home health remedy can help boost your immune system. It breaks down the fatty, mucous and phlegm deposits within the body. By breaking down these substances, it improved the health and function of the vital organs of the body, such as the kidneys, bladder and liver, by preventing excessively alkaline urine. It helps in the prevention of high blood pressure by oxidizing and thinning the blood. Apple cider vinegar also promotes digestion, assimilation and elimination, all the while neutralizing any toxic substances that enter the body. It has been found to neutralize any harmful bacteria that may be found in certain foods. When a mixture of cider vinegar and water is taken before a meal (particularly food served in restaurants or at picnics where the preparation or duration of food left uncovered and not refrigerated is questionable), it seems to prevent diarrhea or digestive upsets. Who knew?! That’s a handy tip for all the pool parties, bar-b-ques and picnics you attend this summer. The key though, is to purchase raw, unpasteurized apple cider vinegar. The ones you buy on your grocery store shelf are pasteurized, distilled and filtered, which robs them of all the good stuff. Be sure it’s organic too, since it’s made from apples, they need to be pesticide free. Recommendations on how much an adult should take vary from 1 -2 tsp. diluted in water three times a day, to 1-2 tbsp. 3 times a day. Personally, it really depends on what remedy you are seeking. Weight loss, lowering cholesterol, immune boosting benefits all recommend 1 -2 tsp mixed in water 3 times a day. The less you dilute it, the greater the benefits will be seen. Most dilute it with 8 oz. of water, but you can go as low as you find tolerable, like 4 oz. 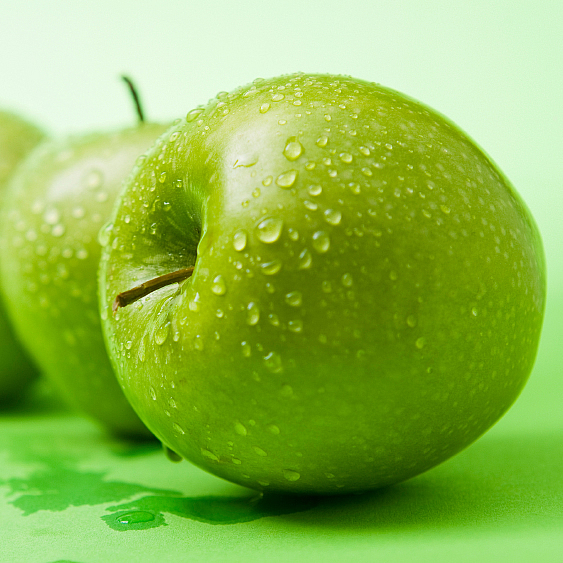 Apple cider vinegar is rich in vital nutrients, and natural enzymes which aid in digestion. They also restore the natural balance of healthy bacteria in the gut by creating a perfect environment for those healthy bacteria to grow, all the while keeping yeast like candida in check. So this explains why some parents of children with autism choose this alternative method for treating their child’s overgrowth of yeast in the gut. One exception for this is that it’s high in phenols. So if you or your child has trouble processing phenols, this may not be the best approach. My next shopping trip to Whole Foods will include an organic, raw, unfiltered, unpasteurized bottle of apple cider vinegar. Anything to “keep the doctor away” is worth a try. Thanks mom (and dad)! Epsom Salts – Old Wives Tale or Medical Fact? 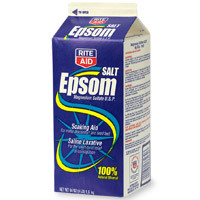 My mother taught me about Epsom salts for aches and pains. She would swear by it and I would ignore it; chalking it up to another old wives tale she told me. But then autism entered our lives and suddenly I was reading about the magic of Epsom salt baths. Could my mom actually have been right about this? Well, yes. The reason I learned about Epsom salt baths for my son with autism was due to the research I was conducting on some of his physical and behavioral symptoms he displayed. It turned out that he has trouble with his PST (phenol-sulfotransferase) system and the processing of phenols and salicylates. Symptoms of PST/sulfate deficiency (problems with phenols/salicylates) are reddened ears, hyperactivity, inappropriate laughter, night sweats, black under eyes, excessive thirst, eczema, facial flushing, trouble falling to sleep, disturbed sleep and odorous bed-clothes. Your child doesn’t have to exhibit all of these symptoms in order to have trouble with phenols. My son gets most of these symptoms and he not only becomes very hyper, but he starts to stim and he has trouble with emotion regulation. Ready for the medical science behind this? One very important sulfotransferase enzyme is the one that attaches sulfate to phenol compounds, called phenol-sulfotransferase (PST). The PST is under active in the majority of autistic children. Without the PST enzyme working properly, the liver will have trouble eliminating the phenols in food. PST is a Phase 2 liver enzyme that detoxifies leftover hormones and a wide variety of toxic molecules, such as phenols and amines that are produced in the body (and even in the gut by bacteria, yeast, and other fungi) as well as food dyes and chemicals. OK, so what are phenols? Phenols are present in food dyes, artificial flavors, preservatives and in highly colored fruits and vegetables, in bioflavonoids, and in carotenoids (carotene, lutein, lycopene, xanthophylls, and zeaxanthin). Almost all foods have phenols, but in varying amounts. Salicylates are a subgroup of phenols. Salicylate is a group of chemicals related to aspirin. There are several kinds of salicylate, which plants make as a natural pesticide to protect themselves. Foods high in natural salicylates are tomatoes, apples, peanuts, bananas, oranges, cocoa (chocolate), red grapes, coffee, all berries, peppers (bell & chili) to name a few. My son can’t tolerate too many phenols/salicylates. He reacts to tomatoes (yes, ketchup and pasta sauce! ), chocolate, red grapes, and artificial colors/flavors. Most children on the autism spectrum are very low in sulfate due to a deficiency in this PST pathway. Since sulfur intake is low, and its oxidation is slow in many autistic children, phenols and salicylates that requires or uses up sulfate ions during its metabolism, will make the situation worse. Tylenol is phenolic and one or two minutes after a dose of Tylenol, the entire supply of sulfate in the liver is gone! So, what’s a mother to do? Well, listen to their mother. Epsom salt baths. One way to enhance detoxification is to supply more sulfate. This increases the amount of toxins processed out. Sulfate ions may not be absorbed well from the gut, so simply giving more sulfur directly by swallowing supplements may not produce satisfactory results. This may be because their body is unable to convert the sulfur to the needed sulfate form. Epsom salts are magnesium sulfate which is readily available to support the PST pathway. You can purchase Epsom salts at Costco, Wal-Mart or your local grocery and health food stores. Be sure to purchase U.S.P. (United States pharmaceutical grade). When given an Epsom salt bath, the magnesium and sulfate in the salts are absorbed into the body through the skin. Because the sulfur is already in the sulfate form, it does not need to be converted like other forms of sulfur do. Sulfate is thought to circulate in the body up to about nine hours. Any Epsom salts left on the skin may continue to be absorbed as long as it is still on the skin, offering continuous ‘timed-released’ input into the bloodstream. I put 1.5 to 2 cups of Epsom salts in hot bath water to dissolve and then add the cold water to balance the temperature. My son will soak for about 15 minutes before I use natural soaps or shampoos. 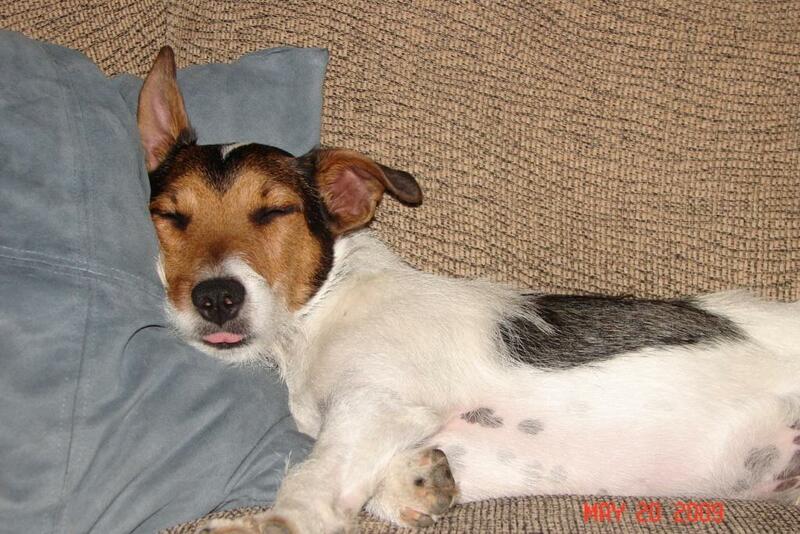 Others add baking soda and lavender oil to enhance the relaxation effects. I give my son an Epsom salt bath at least 5 nights a week, others do less. It really soothes and calms him for bedtime. I’ve finally decided to take heed to my mother’s old wives tales she’s been sharing with me for the past 40 years. There is something to be said about listening to your mother. But perhaps we should refer to them as “old wise tales” from now on.